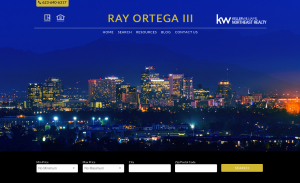 Responsive Refreshes of Keller Williams eAgentC Look Great! Ten more agents have taken the opportunity to let BrandCo upgrade their eAgentC website given to them by Keller Williams. Their websites now have the capability to respond to being viewed in different platforms such as cell phones, tablets, laptops, and desktops. The below agents trusted the designers and developers at BrandCo to take their business to the next level with a custom solution for their website. 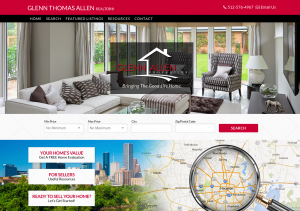 Glenn Allen Properties of Houston is Bringing the Good Life Home. Denika helped bring this city focused design to life with the help of developer, Marc. Viewers of Glenn’s website have quick access to this agent’s mobile search app, as well as Buyer and Seller resources. The cheerful colors and bright photos really bring life to the website. Laguna Niguel native Dave Wilkinson also went with a city focused design, delivered by designer Bianca and developer Eric. Once the site loads, you’re welcomed by a beautiful landscape of southern Orange County of California. 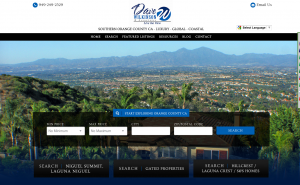 Community / price range searches and featured properties take the spotlight on their website. You are presented with housing options right away. 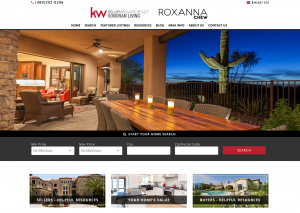 What better way to envision a beautiful evening in Arizona than the image that greets you on Roxanna’s new website? Her website offers resources for both Buyers and Sellers. There is an upcoming section involving resources for Veterans, as well. 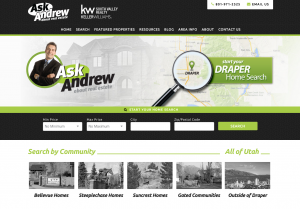 Andrew Adams has a very catchy looking new website thanks to Trevor’s design and Eric’s coding abilities. The layout is super focused with great calls to action by searching for community, type, and school boundaries. Place your Home in Expert Hands with Team San Souci. This team is making use of their Desert-centric website thanks to Trevor’s design talents. They are focused on serving the Tempe, Arizona area. They are already getting a great start on their blogging to earn SEO. 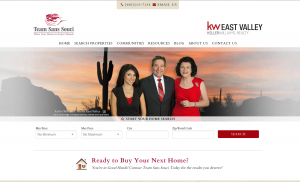 Paula’s new website has a Keller Williams focus. The design includes eight specific calls to action to help steer her clients to what they are looking for in the easiest manner possible. This is something that she will be able to maintain and can grow with her business. Another great design by Bianca. 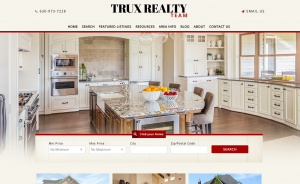 Trevor had the pleasure of designing Charlotte Trux’s new responsive refresh for her realty team. This website sports a very nice, conservative feel. 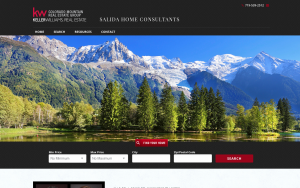 Adiana De Anda came to us looking to upgrade the look of her eAgentC website. Bianca and Marc came together to make this Colorado – country design come to life. 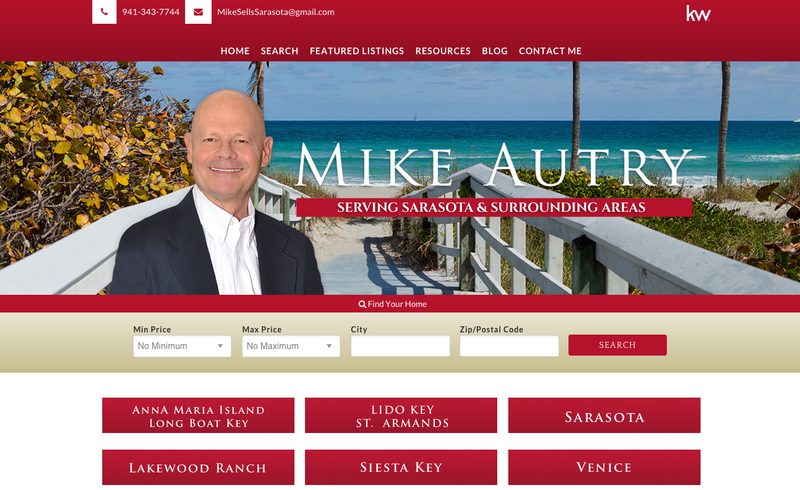 Sarasota, Florida is Mike’s main focus and the purpose of the new beach theme to his website. 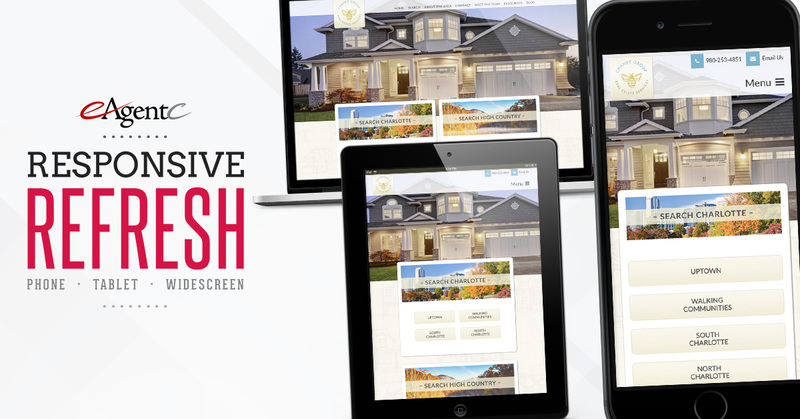 Once you scroll down, you are presented with six different choices of pre made searches ready for clients to get started on their home search. You can also find excellent resources for both Buyers and Sellers with nice red accents. This Phoenix – centered, new responsive refresh is full of color. The night scape that you’re welcomed with on the home screen brings on a lot of blues. I am actually a big fan of how this refresh is laid out. The calls to action lower on the site are shown off really well in circles paired with banners. We’re so happy to get the opportunity to make the sites of our Keller Williams agents responsive. With Google showing more importance to websites that are mobile-friendly, it’s imperative to be ready for the needs of the on-the-go world. These responsive refreshes are the ticket to making the search engines work for you, especially when paired with our Piggyback Blog.